I am an avid WordPress fan! I have been building, selling, and suggesting WordPress websites for over a decade. So why would I suggest using Chime CRM? I understand that this type of real estate website will not be for everyone. It is quite costly, and in the end you do not own the website. 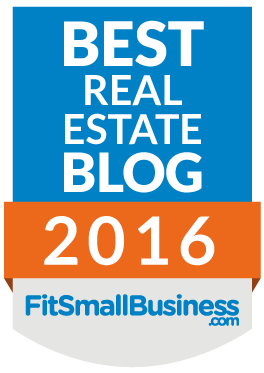 As an active real estate agent I personally have both a WordPress website: The Madrona Group and a lead generation website. If you would like to learn more about the Chime CRM Real Estate Website with IDX, such as price then you can schedule a no obligation consultation by clicking the button below. 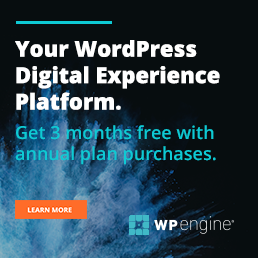 If you are not interested in setting aside a large monthly budget or are just not into internet leads… Consider building your own self hosted IDX WordPress website. There are similar lead generation systems on the market such as Boomtown, Kunversion and Curyator. I have used or heavily demo’d all of these softwares. What I like most about Chime is that it was created as an app first and then expanded out. The others were built as desktop and expanded in. As active real estate agents, if your anything like me, we want to be able to work from our phone easily and Intuitively. Chime allows for this. It is also my experience that Chime is slightly less expensive without giving anything up. Show off your brand the right way with gorgeous site templates that simplify the design process, saving you time. Not tech savvy? No problem! With our content management system’s simple drag and drop controls you’re just a few clicks away from your own custom site design. We support hundreds of MLS nationwide with hourly updates for the most up to date information for your IDX visitors. Never miss out on the potential of pocket listings with the ability to manually add your own pocket listings to your Chime IDX site. Easily access up to date information on demographics, hot properties, school districts, marketing trends, and more for over 190,000 neighborhoods in 29,000+ cities. A growing family is one of the core motivating factors for home buyers, our IDX sites support school district search so leads can find the best-fit area for their next step. Stand out in web searches with your SEO-friendly IDX site. With speedy load times and MLS updates every 30 minutes our sites are designed with an SEO focus from the start. We offer Home Evaluation, Schedule a Tour, Mortgage Calculator, and more. All features are actively tracked to give insight on lead preferences. Each page is perfectly adapted to the computer and mobile terminal, so you only have to design your website once. The interface switches directly to view the site and mobile display and looks amazing on every screen with a mobile-friendly version of your website. Focus your efforts the smart way. Chime’s behavioral lead analysis studies site activity and engagement indicators to provide insights as to lead’s likelihood to close. Our system actively works to identify the indicators for transaction intention so Chime CRM’s intelligence can help contribute towards closing. Enjoy streamlined dialogue through Chime’s communication analysis and third-party integrations. We support Gmail, MailChimp, Bombomb, and more! Give clarity to your decision making and business building – our IDX sites track website traffic in a live updating activity timeline. Work smarter, not harder, with our time-saving, intelligent features. Finding the right person for the job is difficult, make the process easier with intelligent lead assignment. Lead Pond stores leads that haven’t yet been assigned to an agent for anyone on your team to claim and follow up with at their leisure. Route leads via custom rules like source or lead type. We support ’round robin’ routing for equal distribution, and ‘blast alert’ rule, which puts a timer on lead assignments before passing them to more active agents. Stay top of mind with intelligently tailored email notifications designed to help nurture leads. Show off your expertise with area information via our custom market reports. Establish yourself as a local expert so leads turn to your expertise. Our IDX sites sync with Chime CRM to analyze browsing behavior and responsively provide information on new properties that match leads’ behaviorally defined preferences. Seller Property Alerts send info on nearby properties that have been newly listed or sold in order to encourage potential Sellers to take the next step. Develop and deploy automatic workflows with our automated Smart Plans. Set dynamic workflows that act and adjust based on lead type, source, pipeline, and lead activity. Manage all your leads from different platforms in one easy-to-use, convenient interface. With a few simple steps, you can migrate or import lead information from third-party providers like Realtor and Zillow into your Chime CRM. With our automatic import you get near real time sync so you can conveniently manage all your leads from Chime CRM regardless of the source. Stay in touch with your leads, customers, and team members easily! Unlock the power of the click. Call leads, leave voicemails, schedule follow-ups, leave lead notes, and more in just a few clicks from our easy-to-use Smart Dialer. Leverage profile info and pipeline status to create custom call lists, or set our AI to work and automatically generate call lists based on which leads need contact. A tailor-fit solution for you or your team, our dynamically suggested call scripts coach you on how to approach leads for the best chance to close. Streamline transactions from start to finish with Smart Plans, paperless transaction tools, and our full reporting suite. Customize our smart action plans to create automatic workflows that maximize your workday! Our powerful integration tools will help keep track of any transaction data. Leverage digital tools to easily get and stay organized. Conveniently keep all of your documents in one place and easily upload files from your local device or via our Dropbox and Google Drive integrations. Keep track of transaction details from start to close with a live-updating tool that tells you how much each deal is worth. With each transaction in the Chime system, easily see your aggregated earnings at any time. As a team leader, enjoy a comprehensive top down view of your entire teams’ sales data, closing, GCI, revenue, and more. Use these key metrics to motivate how you run your business, with real time updates as each lead closes. Everyone’s tool set is unique, Chime let’s you keep them all in one box through our seamless integrations. Enjoy full functionality and frictionless integrations with Dotloop, Brokermint, and will soon support Skyslope and zipLogix! You deserve better than poorly repurposed mobile sites disguised as apps. We built Chime with a mobile focus from the start — so you can get real-time updates and keep track of your leads on the go. Rely on Chime so clients can rely on you. No PC? No problem! Enjoy full Chime CRM lead management functionality from the convenience of wherever you are. Sort, filter, and engage leads straight from your mobile device. Never miss out on a chance to close with instant notifications and real time chat with leads or team members. Lead assignment straight from chat coming soon! From cellphone to Power Dialer, with Chime your smart phone just got smarter. Contact leads and agents easily and call prospects quickly with automatic dialing and drop voicemails. for you collects and nurtures the lead. system times 12 months that’s $12,000 for the year.